Ribault started strong and led from wire to wire in dominating the nationally ranked MCD squad. 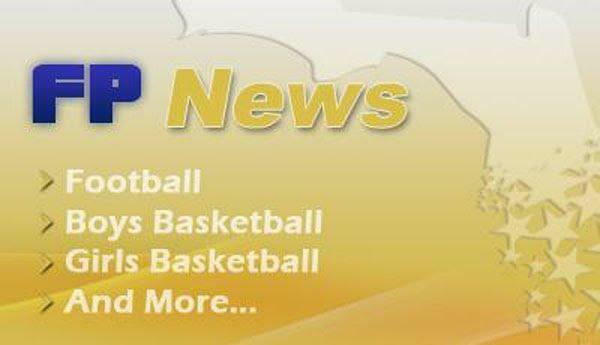 2017�s 6�1 Rennia Davis, 5�10 Day�Nesha Banks and 2016 FIU signee lefty Kayla Rogers were outstanding for the Trojans! MCD was led by their gifted guard duo of Kelsey Marshall (21) and Channise Lewis (16) but Ribault was just too much! Miami Country Day did pick up a solid 18 point win over Winter Haven on Friday. Lefty three point specialist unsigned 2016 5�10 Lindsey Pierre hit four 3�s finishing with 14. Lake Highland Prep picked up two easy wins vs Lakewood Ranch (without LaDazhia Williams) and South Broward. Alabama signee Jordan Lewis led the way in the first game with 22 while 2017 Rachel Jablonski had 22 in the second! Top ranked Flagler Palm Coast had an easy time with Jones on Saturday winning by 25. The inside-outside combo of 2016�s Tamera Henshaw (USF) and Celine Vega (USC Akien) were solid for the Bulldogs. If Ocoee can get 2018 Akila Smith back and healthy to go along with 2017�s Colon, Carter and Steele. They will be a better club going forward. Provided there�s a stronger effort on the defensive end of the floor. 2017 Ari Scott and 2019 Fuji Nimmo are basically a two man show for Haines City. If Scott played ball for an Orlando squad she might be a top 15-20 player in the area. The Edgewater trio of Victoria Lovejoy and Victoria and Cheyenne Patrick make drilling 3�s look easy! Unsigned 2016 Victoria Lovejoy had 49 points for Edgewater in two games. A nice player who goes hard. South Broward played well vs Edgewater before running into a tough Lake Highland squad. Versatile 2017 6�0 Shante Walker was SB�s go-to both games. 2017 5�11 Mackenzie Sadaka probably hit 7-8 3�s for the weekend. Although Winter Haven dropped its first game against nationally ranked Miami Country Day, the Devils played strong in a 20 point win over Dunbar. 2018 PG Diamond Battles was key as was 2018 post Tyia Singleton! 2018 5�9 Chardell Jones (Jones HS) has excellent foot work and plays hard all the time! I love watching her battle! 36 points in two games. 2017 UF commit Jaylasha Thomas always plays with a lot of poise regardless of the game situation! Very gifted player! She had a game-high 29 vs Jones! Can�t wait to watch 2016 KK Wright (Jones) lace em up for UCF next season! It seems as though the Knights are gathering quite a collection of Central Florida talent! The West Port HS duo of 2016 6�0 Donna Saunders and 2017 5�8 Leah Ulrich are two to keep an eye on (NAIA) level talent. Gainesville HS went 0-2 but hung tough vs Wekiva before falling to Haines City. 2017 Kierra Patrick, 2016 Destiny Linsey and 2018 Le Le Young led the way for the Hurricanes! Wekiva HS and Middle Tenn signee 2016 Kayla Allison is so smooth. She put up 31 vs Gainesville Friday. Her go-to is a nice pull up jumper! 2019 Morgan Beachum (Wekiva) went off for 21 points vs Gainesville Friday. She�s a top freshie in Central Florida! Colonial was tested twice by Leesburg and Lakewood Ranch (without LaDazhia Williams). Seniors Denise Daniels (Rollins) and Jaylyn Harrison (Georgia State) along with 2017 6�3 Daja Hall led the way for the Grenadiers! Without 2017 6�3 LaDazhia Williams in the lineup this weekend for Lakewood Ranch both 2017 5�9 Aleah Robinson and 2018 5�9 India Searls both stepped up and played well. This should benefit the Mustangs going forward! 2016 UNF Signee Adrienne Jackson and 2017 6�1 Keyshawn Johnson led the way for Leesburg (1-1) this weekend. Johnson had 17 vs Colonial. 2018 Ja�Miah Bland was very impressive in Dunbar�s opening win over DP. She was relentless on the boards and she also handled the ball very well. The Tigers struggled in a 20 point loss to a very tough and physical Winter Haven squad on Saturday. For Dr. Phillips 2017 Tiffany Tolbert played well but without the Steele sisters in the lineup DP fell to Dunbar on Friday by 13. Thanks to the Florida Prospects crew for invite! This event is always a favorite!!! Can't wait till the Christmas Tourney!! !